Heaton Park is home of the biggest park in Manchester, which makes it the perfect location for a Spartan Race. Welcome to Heaton Park. Heaton Park is home of the biggest park in Manchester, which makes it the perfect location for a Spartan Race. 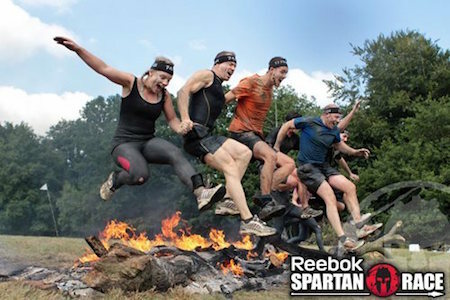 The 600-acre park provides Spartans with ample space to run, jump and climb over classic obstacles. Make the race weekend a mini-vacation, as you will have the opportunity to get two legs of the Spartan Trifecta! The Sprint 5+km, 15 obstacles and Super 13+km, 20 obstacles will be held on Saturday and Sunday respectively, giving you enough resting time between the two days. Are you prepared for the challenge? -A trifecta medal wedge piece (run a Sprint and Beast to collect your remaining two pieces! Click here for more information and to register your super race place.